The reason for the warning is that the automatically created railings contain sketch lines that overlap each other. Revit will break its own rules and allow this to happen in this situation only. Revit will happily create these "railings with warnings" but will seldom let you change the railings. If you need to modify the railing sketch lines there are some tricks that you can employ to change the right sketch line, and untangle the overlaps. We'll start with the process for a simple railing, then go on to the tricky stuff later. The only way around that is to undo; try again but stop the line short of the landing return - the closest it will let you get is 26mm (just over an inch) before it automatically snaps to the corner. Well, that isn't quite good enough because the railing is still an inch short. I guess you could fudge it by adding a railing termination, but that is not going to work in every situation - so that is not acceptable either. Looks like we'll have to resort to another workaround. 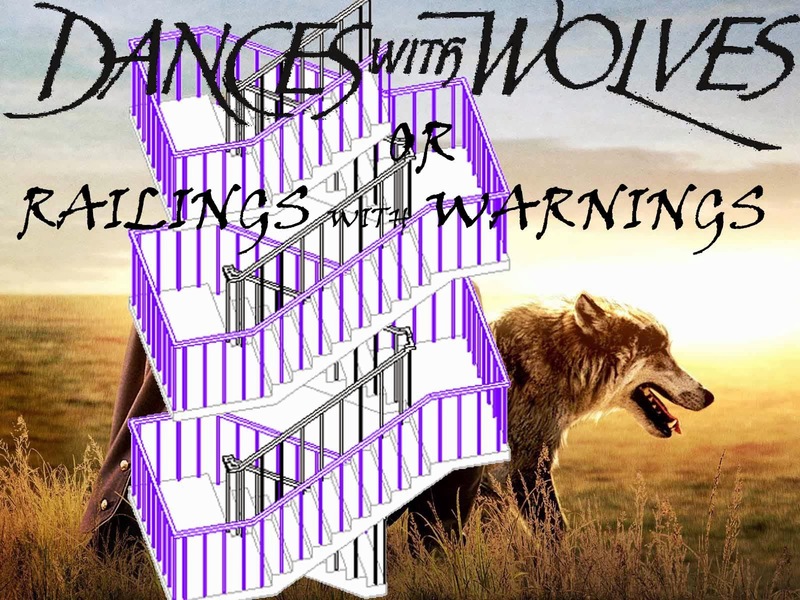 Warning: here follows another bizarre Revit workaround to get you out of trouble with multistorey railings (not for the faint-hearted). We need to untangle the sketch lines so that you can distinguish each one and make sure that they remain linked only to the correct line in the chain when you modify them. 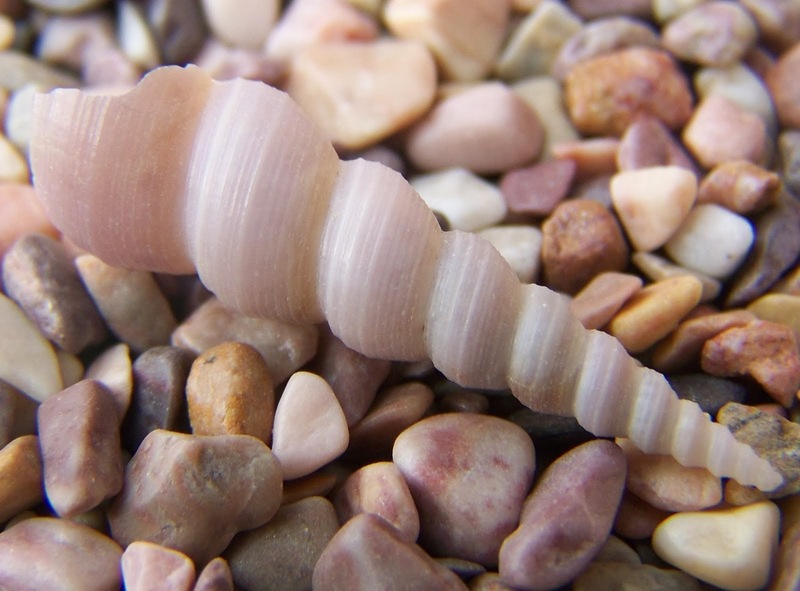 The solution comes from nature - a spiral. The way to achieve the untangling is to make each overlapping run in the stair a bit smaller than the one below it, so that you end up with a spiralling railing sketch. NB. it is better to make the runs smaller as you go up (for reasons explained later). When you try to finish the sketch it will probably give an error; so you will need to drag the line back so it stops 1mm short of the landing line - hopefully acceptable; if not, you can make the gap even smaller: anything less than 0.4mm will show dimensions rounded down so they appear correct. Once the railing is fixed, you probably need to reset the run width back to its original dimension. This is the reason for making upper runs smaller - when they are corrected, the railing sketch lines are not dropped off the edge of the stair runs (which would happen if you initially made upper stair runs larger). In other words, your sketch spiral needs to remain on the stair runs not in the stair well. Most likely you will have runs/landings on exactly on top of each other, so it won't be so simple: either it will not complete the sketch or else you might get the "horizontal railing problem". Make sure that the sketch line segment is on the run component in plan (or on its edge); if it moves off the run it will lose its hosting; if the run moves the railing segment may not move with it. Once you have mastered this technique for three run stairs, you can apply the same technique to stairs with four or more runs. All you need to do is make each pair of runs smaller as you go up the stair. Don't forget that the landing sketch lines also need to be offset. I hope this technique helps someone to get their railing sketches to work correctly - it is not as bad as it sounds once you get the hang of it. It won't help resolve the railing junctions, but that is another story!